I wish I had embraced my inner-nerd long ago. The scoot-bot is coming along! Although a certain fiance of mine calls it a “skateboard” and “lame,” I’m having a riot putting this thing together. On the left is the top half of the robot, which includes the controller (A Beaglebone Black, similar to Raspberry Pi) and the two battery holders. The bottom half has the two wheel motors (underneath) and the voltage control circuitry. The motors run on 12V while the BBB uses strictly 5V, so all of this is necessary to step up/down and distribute the voltage. 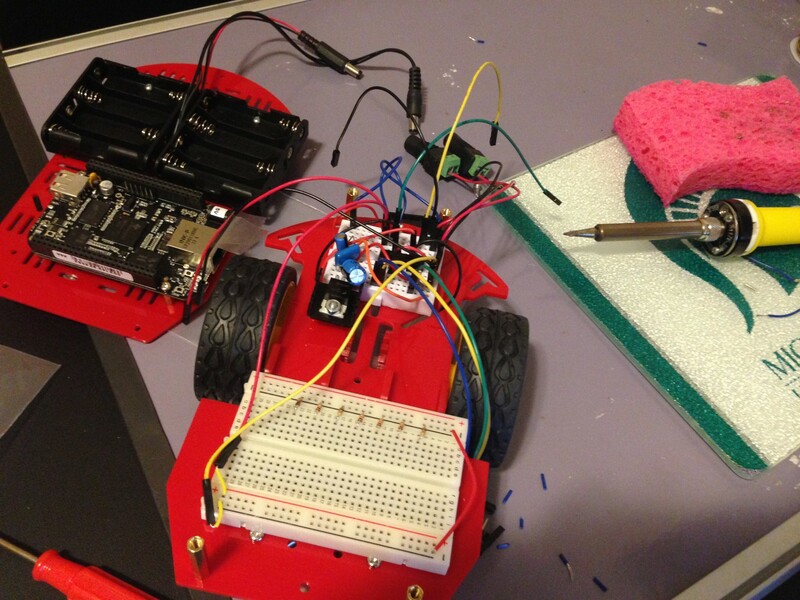 Still to go are the five infrared sensors which will help the scoot-bot “see” the world around it. The class – Control of Mobile Robots – is all about programming optimal behaviors in robots for avoiding obstacles and perceiving the world. It’s amazing that most of these behaviors are actually already written by other people and accessible through a library. I guess this is par for the course when it comes to programming – I thought you had to start from scratch every time, so this is a big relief and actually makes this project seem feasible. I’ll probably post again soon, but so far my free class from coursera.org is paying dividends! Way too much fun.